This is my list of books on the topics of business, time management, information overload and email processing organized by subject. 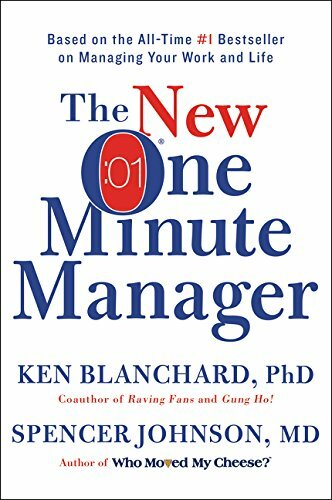 The One Minute Manager” by Kenneth H. Blanchard & Spencer Johnson. A fast and easy ride that provides some easy, common-sense approaches to managing people. It’s been around for over 20 years, and is still relevant today. 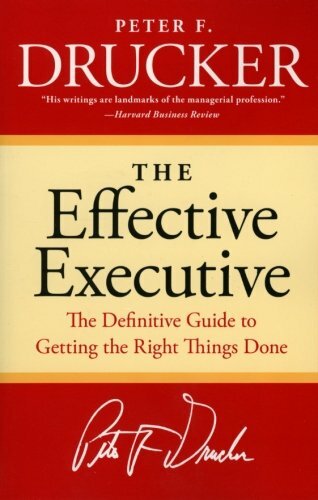 The Effective Executive: The Definitive Guide to Getting the Right Things Done” by Peter Drucker. Written by Peter Drucker, one of the most renowned experts in the field of business and management, this book focuses on those practices which are most essential to effective management. "The Essential Drucker” by Peter Drucker. Get inside the mind of a business legend! 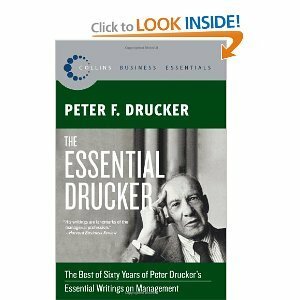 Comprising excerpts from 10 of Drucker’s most impactful books, The Essential Drucker is a useful reference for any manager or business leader. 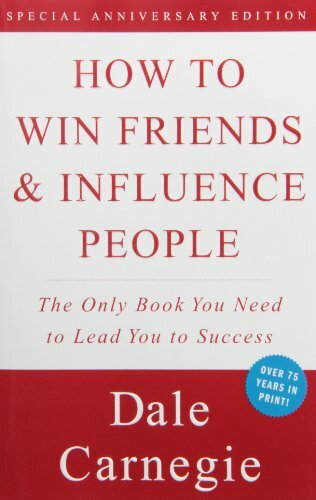 "How to Win Friends and Influence People” by Dale Carnegie. A classic book on how to improve your interpersonal, communication and social skills that will help you to communicate with other people in a more honest and meaningful way. 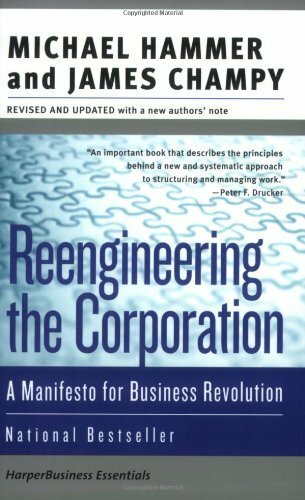 "Reengineering the Corporation: A Manifesto for Business Revolution” by Michael Hammer & James Champy. Often called THE organizational change book of the 1990s, this book distills the concept of management process design (and redesign). The book provides examples of how reengineering will benefit your organization. 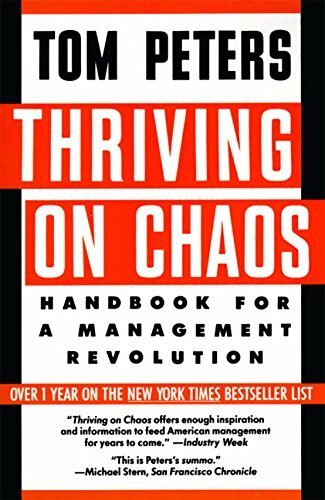 "Thriving on Chaos: Handbook for a Management Revolution” by Tom Peters. Despite being more than 25 years old, the major concepts in Thriving on Chaos -- challenge the status quo, thrive in a sea of change, and flexible management style -- hold up surprisingly well to the modern-day market. A must-read for the aspiring manager. 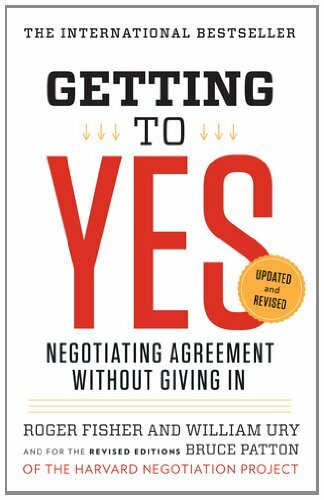 "Getting to Yes: Negotiating Agreement Without Giving In” by Roger Fisher, William Ury & Bruce Patton. A no-nonsense guide for arriving at the classic “win-win” resolution that will preserve business relationships while meeting your goals. The book is useful for high-level negotiations, but also extends to interpersonal dealings as well. 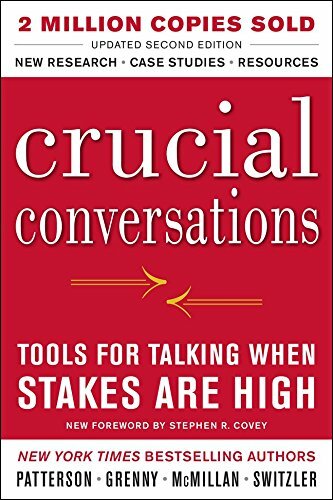 "Crucial Conversations: Tools for Talking When Stakes Are High” by Kerry Patterson, Joseph Grenny, Ron McMillan & Al Switzler. From the “cooler heads prevail” school of thought, this book provides tools and techniques for maintaining professional discourse during high-stakes, controversial, or highly emotional discussions. 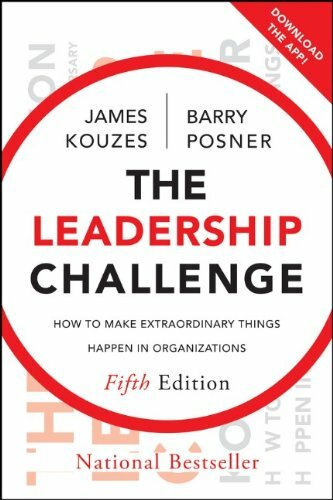 "The Leadership Challenge: How to Make Extraordinary Things Happen in Organization” by James Kouzes & Barry Posner. This book’s theme is that leadership is everyone’s concern, and is penned in a way that can help C-level executives, mid-managers, and front-line employees understand how they can lead and contribute. 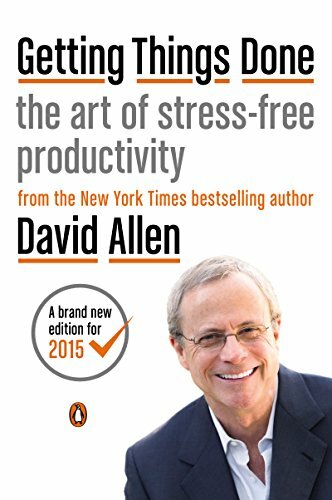 "Getting Things Done: How to Achieve Stress-free Productivity” by David Allen. Defines the famous “GTD” productivity system, perhaps the most widely adopted productivity systems in use in the world. 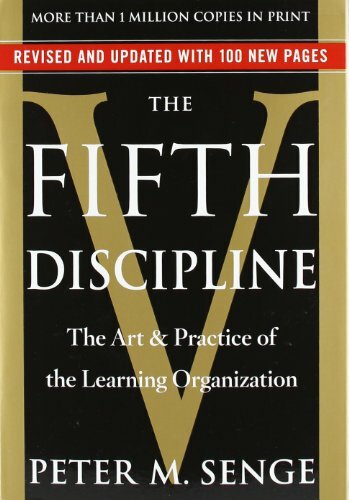 Definitely, a “must read” for anyone trying to improve their personal organization. 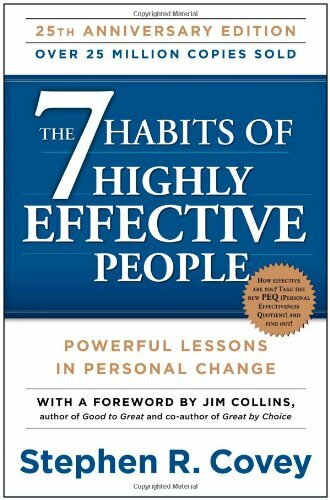 "The Seven Habits of Highly Effective People” by Stephen Covey. Another “classic” by Stephen Covey, another one of the famous business management authors. It defines the traits of successful and effective people and outlines a methodology for improving not only your work, but also your life. 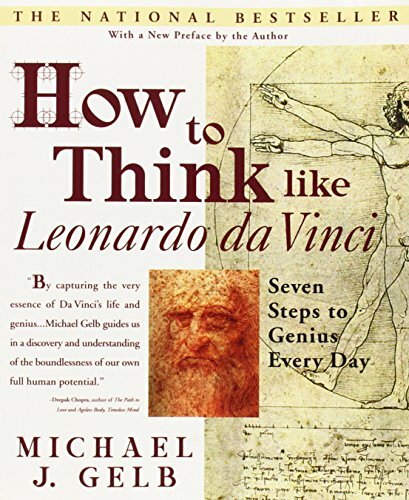 "How to Think Like da Vinci: 7 Easy Steps to Boosting Your Everyday Genius” by Michael Gelb. Focuses on the life and achievements of Leonardo da Vinci and outlines ideas and tips to help you become more creative, in both work and life. 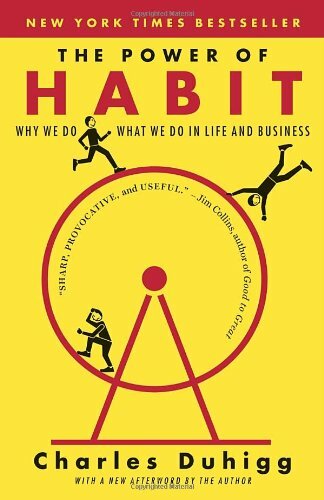 "The Power of Habit: Why We Do What We Do in Life and Business” by Charles Duhigg. This is a book that explores the power of habits, what they are, how they are created, and how they can be changed. It explores the impact of habits on the individual, then companies, and finally societies. 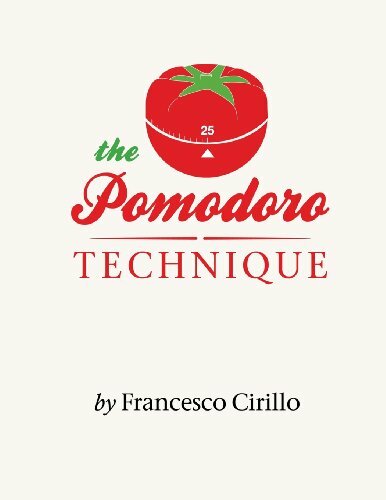 "The Pomodoro Technique” by Francesco Cirillo. A book that introduces you to one of the most popular time management systems. It explains a process whereby you break work into small focused blocks of time, focus intently on a specific task, and then take breaks. 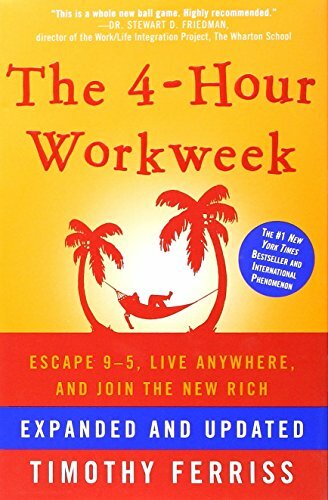 "The 4-Hour Workweek: Escape 9-5, Live Anywhere, and Join the New Rich (Expanded and Updated)” by Timothy Ferriss. A book that offers an alternative way to live by shedding many traditional aspects of life, minimizing non-value added work, and outsourcing large amounts of mundane activities. 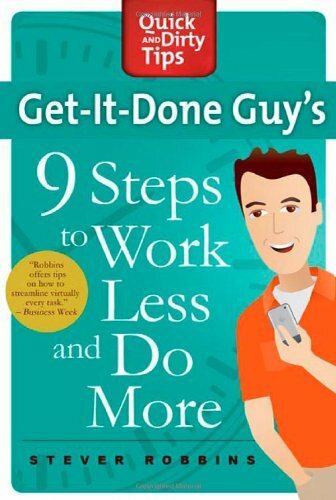 "Get-It-Done Guy's 9 Steps to Work Less and Do More” by Stever Robbins. This book takes you through a journey on how to change and improve your life. I’m a big fan of Stever and his popular “get it done guy” podcast series, and this book delivers a great variety of helpful information in a fun and easy-to-read format. 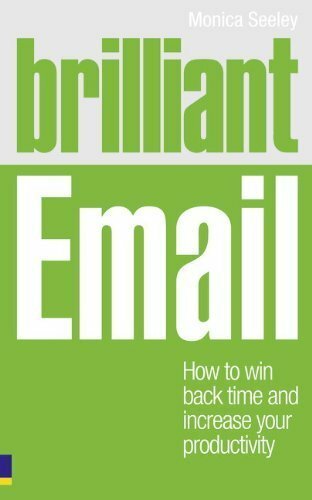 "Brilliant Email: How to Win Back Time and Increase Your Productivity” by Monica Seeley. By adopting the practices and principles outlined in this book, you can take control of your inbox, improve your productivity, and take back much of your time. 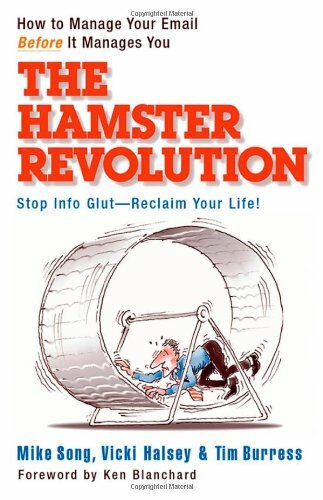 "The Hamster Revolution: How to Manage Your Email Before It Manages You” by Mike Song, Vicki Halsey, Tim Burress and Ken Blanchard. This book offers a systematic approach to email categorization and management to help reduce clutter, improve organization, and reduce time spent on email management. 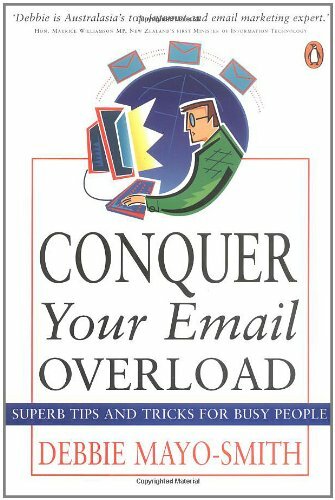 "Conquer Your Email Overload” by Debbie Mayo-Smith. Although several years old, this book is a great starting point, especially those that may need help understanding the key features in Microsoft Outlook. The author suggests a variety of tips to organize your email, ranging from detail folder hierarchies to inbox filters to reduce clutter. 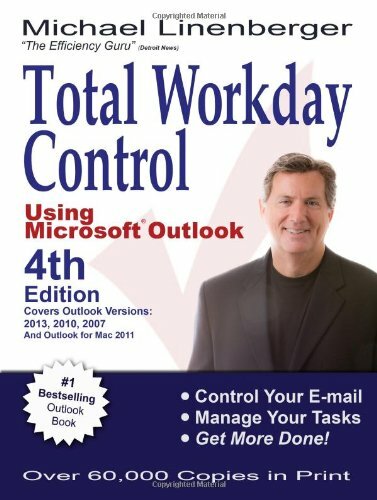 "Total Workday Control Using Microsoft Outlook” by Michael Linenberger. Provides a detailed system for managing emails, appointments and to-do lists through Microsoft Outlook. The system provided is perhaps one of the most comprehensive Outlook-based time management systems in existence. 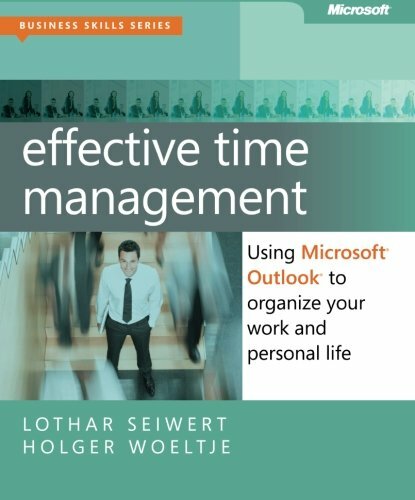 "Effective Time Management: Using Microsoft Outlook to Organize Your Work and Personal Life” by Holger Woeltje & Lothar Seiwert. Provides another Microsoft Outlook based time-management system to better manage your email, tasks, and appointments. 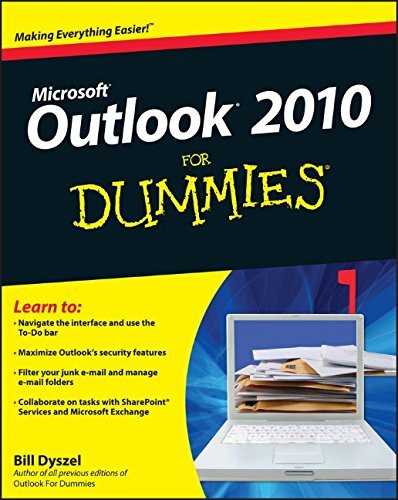 "Outlook 2010 For Dummies” by Bill Dyszel. A comprehensive and beginner-friendly guide for Outlook 2010. From the very basics of operation to the advanced interactivity between Outlook and other MS Office applications, this book covers all the bases. 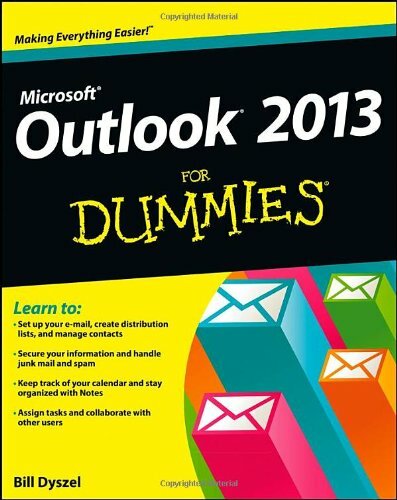 "Outlook 2013 For Dummies” by Bill Dyszel. Yet another “dummies” book on Outlook by Bill Dyszel. This one is for the latest and greatest version - Outlook 2013. 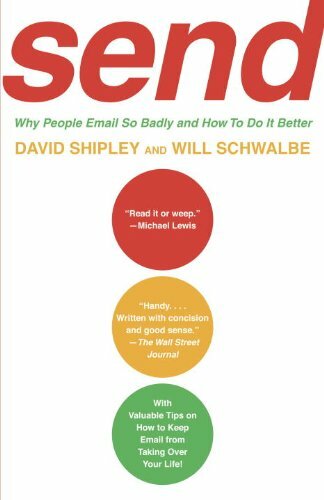 "SEND: Why People Email So Badly and How to Do It Better” by David Shipley and Will Schwalbe. A book that focuses more on how to improve your tone, organization, and Email writing ability. Contains many humorous (and slightly bewildering) anecdotes and stories of “bad email behavior”. A helpful, fun, and quick read. 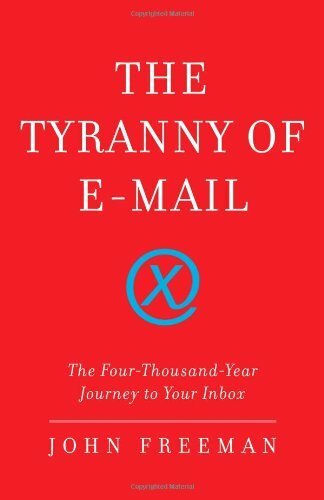 "The Tyranny of E-mail: The Four-Thousand-Year Journey to Your Inbox” by John Freeman. A book that covers the evolution of mass communication and how it has impacted our lives. It also ends with a cautionary note about the challenges of modern mass communication. 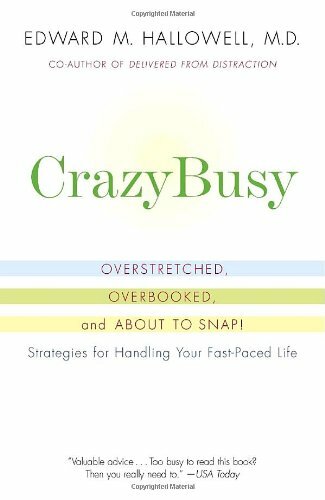 "CrazyBusy: Overstretched, Overbooked, and About to Snap! Strategies for Handling Your Fast-Paced Life” by Edward M. Hallowell M.D. Written by a practicing psychiatrist who treats adults and children suffering from ADHD, offers helpful and insightful advice to today’s "overwhelmed" working adults. 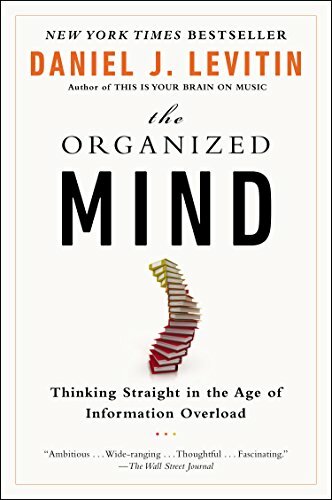 "The Organized Mind: Thinking Straight in the Age of Information Overload” by Daniel J. Levitin. Written by Dr. Daniel Levin, a neuroscientist and musician, provides some of the latest information on how the brain works and how we process and store information. He then presents a series exercises to improve your thinking and memory. "Overload! How Too Much Information is Hazardous to your Organization” by Jonathan B. Spira. 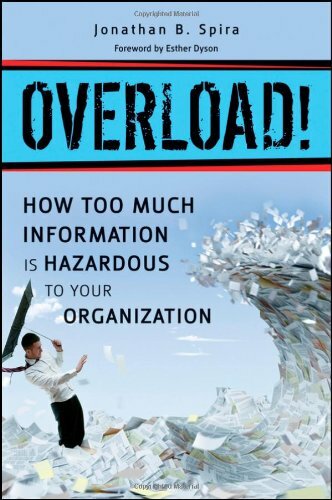 Written by Jonathan Spira, one of the industry's leading information management researchers, provides a history of information overload, its disruptive impact on business and workers, and tips and strategies to limit their costly impact. 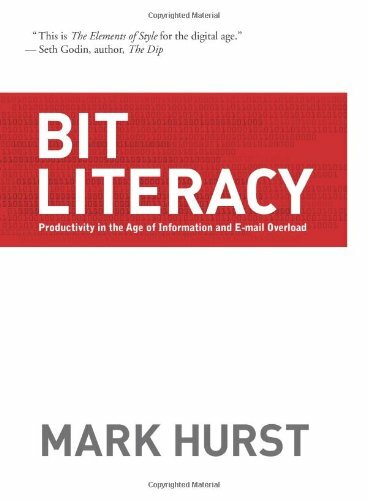 "Bit Literacy: Productivity in the Age of Information and E-mail Overload” by Mark Hurst. This book provides you with a set of tools to help pare-down your inbox and reduce the number of “bitstreams” you have to manage. It is not so much a “system”, but rather an overall “approach” to how you should manage information. 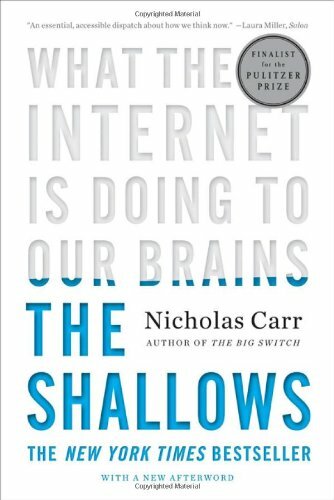 "The Shallows: What the Internet Is Doing to Our Brains” by Nicholas Carr. Explores the downsides and detrimental effects that the Internet has on our cognitive abilities and how new modes of communication are changing our neural pathways. 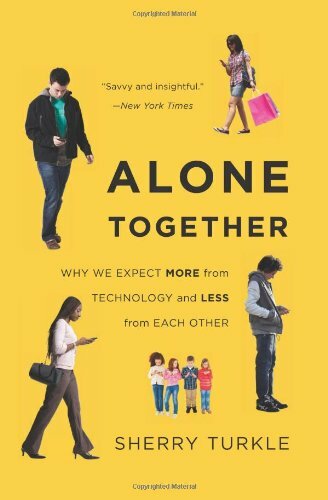 "Alone Together: Why We Expect More from Technology and Less from Each Other” by Sherry Turkle. An intriguing look at how the illusion of companionship offered by social media and online communities is, in reality, resulting in less interpersonal contact. 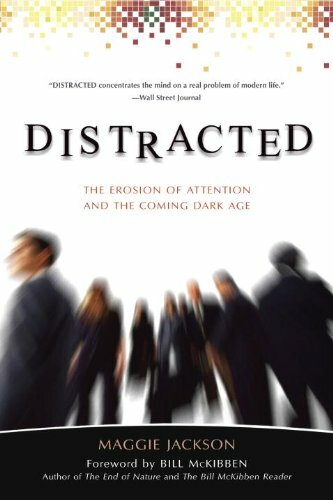 "Distracted: The Erosion of Attention and the Coming Dark Age” by Maggie Jackson & Bill McKibben. This book posits that our super-connected world is fostering a culture of detachment, diffusion, and fragmentation. The author exhorts us to embark on a renaissance of attention to reclaim our lives. 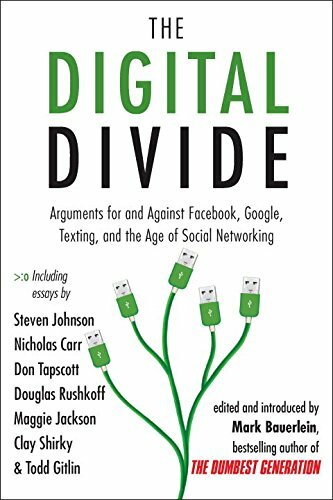 "The Digital Divide: Arguments for and Against Facebook, Google, Texting, and the Age of Social Networking” by Mark Bauerlein. This collection of historical essays by a variety of subject matter experts is a multifaceted examination of the pros and cons of social media and the ever-connected state of the world. 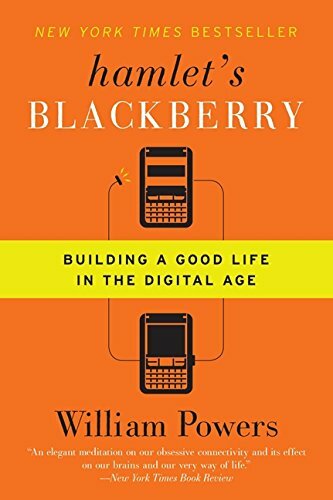 "Hamlet's BlackBerry: Building a Good Life in the Digital Age” by William Powers. Another critique of the ever-increasing connectedness of our networked society. Urges the reader to disconnect and engage in real-world relationships and interactions.